Social and emotional learning (SEL) is the practice of noticing and working with feelings. Learners develop skills to manage emotions, build empathy, communicate, persevere, and solve problems. Citizens need these skills to contribute to society. SEL skills are important enough to practice every day in all learning situations. 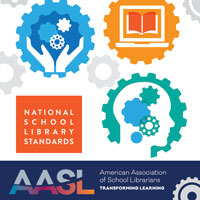 Take a look at the AASL Standards Framework for Learners. Read the Key Commitments. See if you notice social and emotional learning terminology. Did you spot developing strategies for solving problems, broaden perspectives, and inclusiveness and respect? These keywords tie in with SEL. So what does this mean for you, the school librarian? 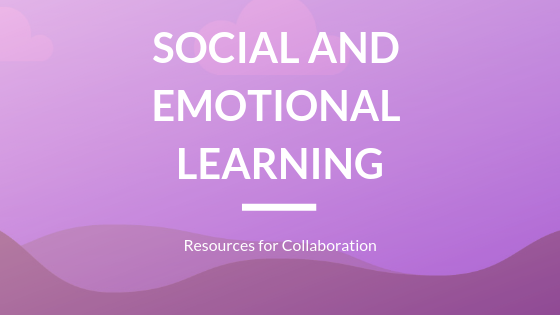 When a classroom instructor asks for SEL resources, suggest a collaborative lesson. Explain that the AASL Standards Framework for Learners provides opportunities for SEL. Below are some resources and ideas for a brainstorming session with your collaborative partner. Bring a copy of the AASL Standards Framework for Learners to address the Shared Foundations and Key Commitments. Green by Laura Vaccaro Seeger. Close your eyes and think of the color green. What do you see? Now open this gorgeous book to expand your imagination. Each remarkable illustration belongs in an art museum. Die-cut pages invite the reader to take a peek at the next page. Ask learners to consider the author’s message. Why did she dedicate an entire book to one color? Why did the book end with an illustration of people planting a tree? Consider your school environment. Is it green? 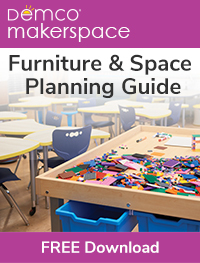 Create a plan to add green to the school community. How to Code a Sandcastle by Josh Funk. If you are looking for a lesson in problem solving, try coding. Introduce the topic by reading How to Code a Sandcastle. Readers learn coding vocabulary as the main character directs her robot to build a sandcastle. This picture book works for all ages. Extremely Cute Animals Operating Heavy Machineryby David Gordon. How do you persevere when bullies destroy your projects? You start all over again with help from some friends. See how these cute animals go over the top to bring home an important lesson. Someone New by Anne Sibley O’Brien. Imagine a new learner enters your class. He doesn’t speak because he doesn’t know the language. How do you help him feel comfortable? In this companion book to I’m New Here, learners see what it looks like to include others and respect all human beings. The Big Umbrella by Amy June Bates. Would you welcome strangers under your umbrella to protect them from the rain? Bates entertained this idea with her daughter, Juniper. The big idea of this story is that we should all consider the people around us. If someone needs assistance, we help them. We don’t judge or make comments. We just help. Click here towatch a video clip of the mother-daughter writing team explain the idea behind the book. Little Brown by Marla Frazee. There is a problem in this story. Little Brown is grumpy. No other dog will play with him. Is it because he takes toys that don’t belong to him? Or, is it because the other dogs never include him in their playtime? Where does his grumpiness stem from? This gives readers an opportunity to work together, empathize with the characters, and create a solution. “Picture Books for Social Emotional Learning and Special Topics” by Shannon McClintock Miller. This collaborative workspace for curating SEL picture books is such a good idea. Visitors to this Padlet will see lots of picture books categorized by topic. Invite learners to curate picture books that helped them work through a tough time. They can upload a picture of the book along with a summary. The Rabbit Listened by Cori Doerrfeld. We all want to help a loved one who is dealing with deep emotions. But how? Try being a good listener. When Taylor is upset, friends suggest different ways to calm him down. This does not help Taylor. What does help is a rabbit who listens as Taylor processes the feelings. This lesson will come in handy the next time someone struggles with a project. Friends can encourage each other just by listening. The Snurtch by Sean Ferrell. A Snurtch is a grumbly feeling that lives in all of us. Recognizing the Snurtch and working to regulate his power is something we practice every day. This helps us develop a growth mindset. How do you regulate strong feelings? Ask learners to develop strategies to help themselves and others the next time the Snurtch appears. 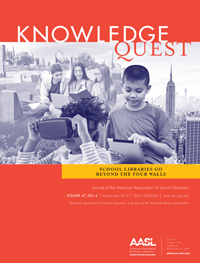 “Teaching Digital Citizenship in the School Library” by Sedley Abercrombie. Abercrombie, a blogger for Knowledge Quest, posted information about digital citizenship. 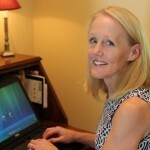 She offers advice about how to inform the learning community about this important topic. She also included a link for training in digital citizenship. Thank you, Sedley! How are you sharing SEL resources with classroom educators? Please share ideas in the comment box below.